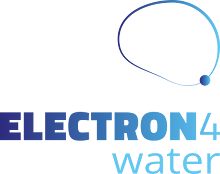 The Catalan Institute for Water Research (ICRA), based in Girona (Spain), is offering 2 PhD Student Positions in the Area of Technologies and Evaluation within the framework of a recently awarded project “Smart decentralised water management through a dynamic integration of technologies, WATINTECH” from the JPI Water - WATERWORKS 2014 EU call. The Catalan Institute for Water Research (ICRA), based in Girona (Spain), is offering 2 PhD Student Positions in the Area of Technologies and Evaluation within the framework of a recently awarded project “Smart decentralised water management through a dynamic integration of technologies, WATINTECH” from the JPI Water - WATERWORKS 2014 EU call. The project is focused on solutions for Water Smart Cities and explores novel sewer mining technologies with urban run-off treatment in decentralised facilities to enhance the local recovery of valuable resources including water, methane and value-added chemicals, either extracting or producing them from the fluxes inside a sewage pipe, in addition to harvesting stormwater. The project is composed by 5 different international research and industry organizations. The project is coordinated by Prof Ignasi Rodríguez-Roda, from the Technologies and Evaluation research area of ICRA. Decentralised energy recovery from sewage. Producing Value-added products from sewage to control sewer corrosion. Both PhDs will include intensive experimental work at lab-scale facilities, data analysis and elaboration of scientific reports/publications with the results obtained. Set-up and operation of experimental lab-scale reactors for the project tasks. Design and execution of well control experiments. Data analysis and compilation in scientific reports and publications. The applicant should have a degree in chemical engineering, environmental engineering, chemistry or related degrees with a good track record. Also a MSc in Water treatment/technologies or related areas is required. The candidates will enrol to the PhD program offered by the University of Girona. Documented interest in experimental research like activities (e.g. demonstrated in the form of master thesis work) is of large importance. Demonstrate an interest in connecting knowledge of multiple disciplines as the PhD projects will we embedded in a wider context that includes aspects of engineering, microbiology, electrochemistry, and wastewater. The candidates should have English proficiency. Spanish/Catalan fluency will be also positively evaluated. Ability to work in a multidisciplinary environment with high level of communication. Applicants must send full application consisting of Curriculum Vitae (including academic marks), a motivation letter (400 words max.) and the contact details for at least 2 academic referees that might be contacted for recommendation. If the candidate can’t prove a good level of English through an official certificate, part of the interview will be in English. The deadline to submit documentation to this call is 08th May 2016, and candidates should send the required documents to ICRA address call@icra.cat indicating ref. PhD_WATINTECH.